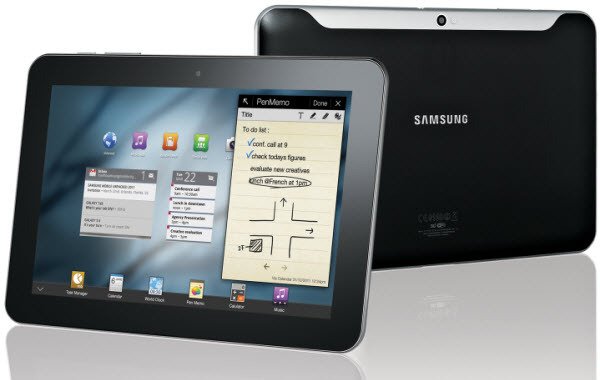 Along with the Galaxy Tab 10.1 announcement, Samsung unveiled its latest 8.9 inch tablet, the Galaxy Tab 8.9. This device has almost the same specs, compared to the newly redesigned Galaxy Tab 10.1. This device comes with a 8.9 inch WXGA display, 3 megapixel rear camera, 2 mega pixel front facing camera, Adobe Flash Player 10.2 and more. Galaxy Tab 8.9 runs on the Android 3.0 (Honeycomb) operating system. Check out the complete specs below. The Samsung Galaxy Tab 8.9 provides the ultimate tablet experience, whether you are writing emails on a trip or reading an eBook on the couch. This device measures 230.9 mm x 157.8 mm x 8.6 mm and weighs 470 grams. Galaxy Tab 8.9 will be available from June 8 for just $469 for the 16GB version and $569 for the 32GB version. Stay tuned for more updates.